SHANGHAI: The stricter inspection procedures at the Chinese ports are leading to considerable delays of secondary commodities shipment, as per European recyclers. The Chinese authorities are reported to have begun a crackdown on imports of secondary materials that does not meet set standards. Materials such as paper and plastics have come under increased inspections. As many as 84 containers of recovered paper sold by Netherlands-based CVB Ecologistics to a Chinese paper mill are being held at the Port of Zhangjiaggang, where China’s Entry-Exit Inspection and Quarantine Bureau (CIQ) has requested a second round of inspections at CVB Ecologistics’ expense, even though the transfer of ownership had already occurred. The Chinese administration intends to prevent dumping of contaminated waste in the country. It should be noted that China had returned rubbish of low quality imported from Britain during early October 2012. 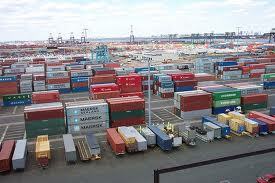 The authorities are said to be examining each shipment for non-recyclable secondary commodities. The increased inspection is part of the 10-month long “Green Fence” initiative by Chinese Government that kicked off in February to prevent the importation of solid waste-contaminated shipments.